Ballyneety was known as Limerick County, before it re-opened in 2013. It is a quality parkland course, a par-72 6,171m with a standard scratch of 74 off the back tees. Designed by Ryder Cup player Des Smyth. 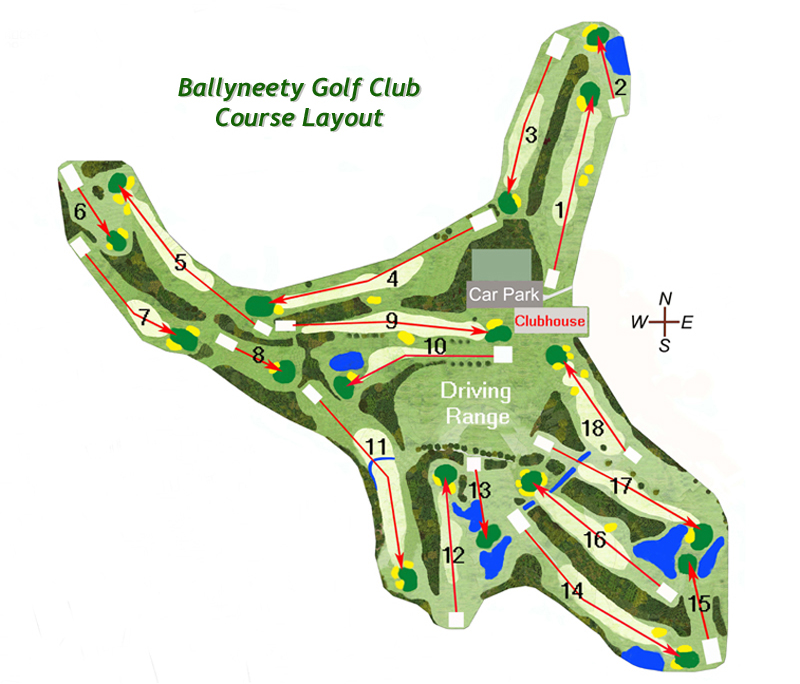 Opened in 1994, Ballyneety has been described by amateures and professionals alike as a robust but very fair golfing challenge. It is a high quality built to top specification and is meticulously maintained providing a beautiful and elegant layout with a wide variety of shot-making opportunities to stunningly true greens. Some of the second shots are particularly noteworthy. The practice facilities are outstanding and are used as a training base by the Irish Ladies Golf Team. There is a fully equipped Driving Range, two large putting greens and a specially designed "short game" practice area. The high quality found on the golf course is carried over to the visitor facilities. 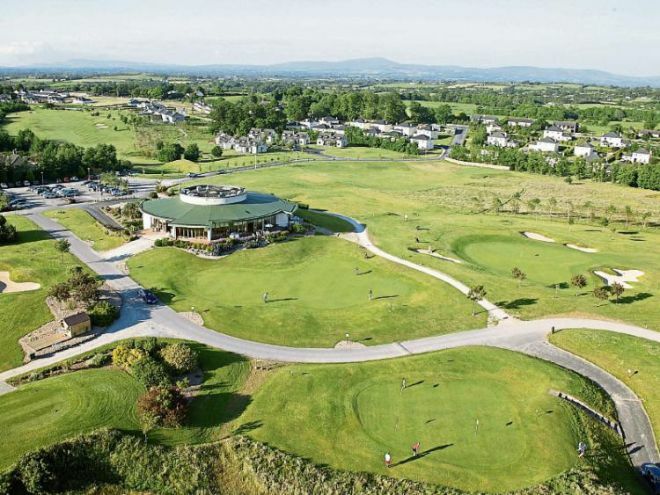 The Clubhouse, is an award winning design, provides first class customer comforts as well as wonderful vistas of the golf course and the Golden Vale. The course is built on part of the Croker Estate, the ancestral home of the notorious "Boss Croker" of Tamany Hall fame. It is set in the rolling hills just 5-miles from Limerick City, just outside the village of Ballyneety. The visitor is assured of a warm welcome and a memorable game of golf. Ballyneety Golf Club was awarded Munster Golf Club of the Year 2014 by GUI munster branch. Limerick County Golf Club won the Munster Final of the Irish Mixed Foursomes, when they beat Douglas by 3 matches to 2 matches in 2000, when the was Brian O'Brien with Gillian Stack, Walter Shanahan with Olive O'Callaghan, Bill O'Brien, and Bessie Lawlor, John McCarthy with Barbara English and Michael O'Brien with Paula Carroll, Angela O'Connell, Aileen Hickey, Tony Hopkins, Maura Ryan, Mary Shanahan, Eamon Gregan, Paudie Hehir, John Sexton and John Keogh, they were captained by John Deegan. They beat Charleville, Nenagh, Castletroy, Woodstock and County Tipperary on their way to the final. The Ladies of Limerick County Golf Club won the ILGU Junior Cup in 1997, with Madge Young and Mary Shanahan. Limerick County where the National Winners in the Musgrave Crumlin Children's Hospital Club Challenge in 2000, when the team was, Shane Foley, John Cronin and Declan Costello. Limerick County where the National Winners in the Musgrave Crumlin Children's Hospital Club Challenge in 1999, when the team was, Walter Shanahan, John Deegan and Mick Garry. Lady Captain in the Millennium Bessie Lawlor (27) and her Captain's prize winner Paula Carroll (18) booked their place in the National Final of the Volkswagen-Irish Independent Lady Captains Classic when they won the Regional Qualifying round at Limerick Golf Club in August. 2000. They shot 42pts and went on to compete in the National Final at Druid's Glen on 2nd October, where they came third with 32 points.